Description: - This spectacular Licuala is quite cold tolerant will grow in Sydney and probably [California USA] this form has entire leaves similar to L. Grandis but larger likes partly shady position well mulched with regular fertilizer Temp from 0.C to 35.C. 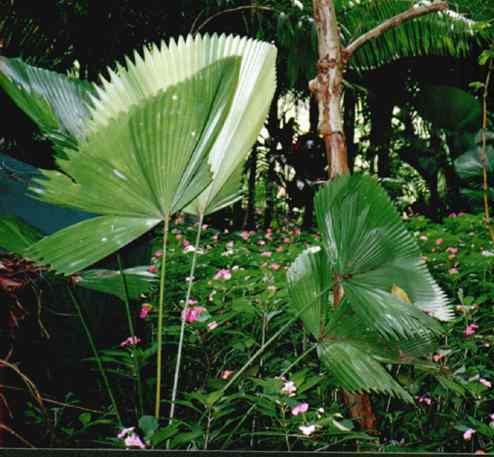 This species is solitary and will grow quite fast for a Licuala. Growing Climate: -Temp from 0.C to 35.C.